Helen Kennedy’s research has traversed digital media landscapes; her current focus is on lived and visualised experiences of datafication and related phenomena (algorithms, AI, machine learning), inequalities, and everyday perspectives on ‘fair’ data practices. 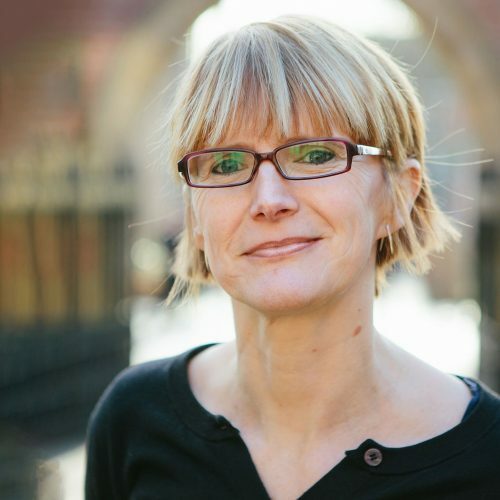 Helen Kennedy is Professor of Digital Society at the University of Sheffield. Her research has traversed digital media landscapes, covering topics from web homepages to data visualisation, from race, class, gender inequality to learning disability and web accessibility, and from web design to social media data mining. She is interested in many aspects of digital life, and is currently investigating the datafication of everyday life across a range of domains. This includes thinking about: how datafication is experienced and perceived by non-experts; the visual dimensions of datafication; how data analytics processes discriminate and how to address this; how and whether data analytics can be accessible, transparent, accountable, fair, equitable, ethical and just; and the relevance of all of this for data policy and practice. She has recently completed research into how non-experts relate to data through their visual representation (on Seeing Data) and what happens when social media data mining becomes widespread (published in Post, Mine, Repeat: social media data mining becomes ordinary, 2016). She is currently researching what people think about uses of their personal data, as part of AHRC-funded research (Data, Diversity and Inequality in the Creative Industries and What Constitutes ‘Good Data’ in the Creative Economy). She is also a member of the INDVIL (Innovative Data Visualization and Visual-Numeric Literacy) project team and is editing a book with Martin Engebretsen called Data Visualization in Society, to be published in 2019 with Amsterdam University Press.